Combining these "Lipotropic" co-enzymes and amino acids allow the body to better metabolize fat for elimination. 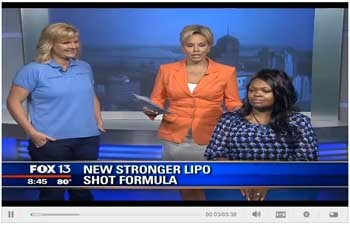 The Lipo Shot is recommended to be given once a week. 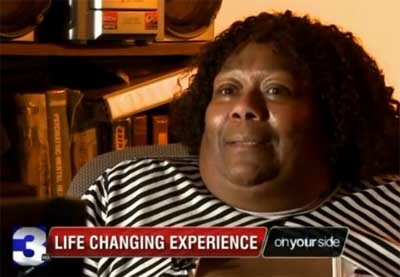 the natural ingredients show no side effects. Exclusive Lipotropic Formula: We use an exclusive lipotropic shot formula manufactured especially for us by an FDA approved supplier and researched for safety and effectiveness. $25 per dose with every 5th shot FREE! 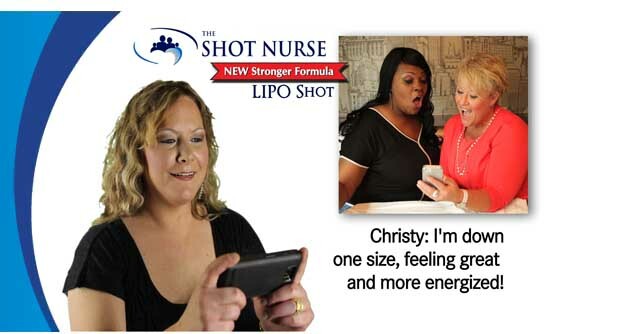 THE LIPO SHOT CANNOT BE ADMINISTERED TO PERSONS HAVING KIDNEY OR LIVER IMPAIRMENT. What are some of the important functions of the individual Lipotropics? Choline detoxifies amines that are the by-products of protein metabolism. It works with Vitamin E.
It is used in nerve and muscle disorders such as Multiple Sclerosis and Cerebral Palsy. Caffeine may cause depletion of Inositol. It works with Choline to detoxify amines which are the by-products of protein metabolism. It acts as a catalyst for Choline and Inositol, opening up their function. Vitamin B12 boosts your energy level. Common benefits reported by participants include improved sleep, reduced allergies, reduced stress and depression, improved mood, and less frequent or severe headaches. Vitamin B12 injections contribute to healthier immune systems and is an essential B vitamin needed to form red blood cells for proper brain and spinal cord function. Vitamin B6, also called pyridoxine, is a water-soluble nutrient that is part of the B vitamin family. B vitamins, including B6 vitamins, help support adrenal function, help calm and maintain a healthy nervous system, and are necessary for key metabolic processes. Vitamin B6 acts as a coenzyme in the breakdown and utilization of carbohydrates, fats and proteins.